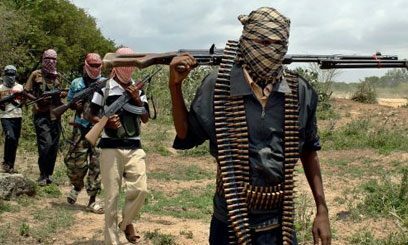 Thursday January 17, 2019 - Somalia-based militant group, Al Shabaab, has finally revealed why four Mujahideens attacked a hotel in Kenya killing 21 civilians and injuring hundreds. On Tuesday afternoon, four Jihadists, who were armed with AK 47s and grenades, attacked DusitD2 hotel in Nairobi which hosts offices for a number of expatriates and international companies. Situated on 14 Riverside Drive, DusitD2 is perhaps one of the few hotels in Nairobi that shares neighbourhoods with three Western embassies — Australian, Dutch and German — making it a popular haunt for Western diplomats and affluent Kenyans. But on Tuesday, the jihadists turned the hotel complex into a killing zone where they slaughtered 21 and injured hundreds. Though the four jihadists were finally eliminated by Kenya’s security officers, Al Shabaab in a statement on Thursday said the attack was meant to send a message to America. Al Shabaab noted the attack was in line with the guidelines of Sheikh Ayman Adh-Dhawahiri in targeting western and Zionist interests globally. “The Mujahideen carried out this operation, codenamed 'Jerusalem will never be Judaized', in accordance with the guidelines of Sheikh Ayman Adh-Dhawahiri in targeting western and Zionist interests worldwide and in support of our Muslim families in Palestine," read part of the statement. The Somali based ragtag further claimed that the Nairobi attack was in reaction to America's recognition of Jerusalem as Israel's capital city and also what it termed as systematic prosecution of Muslims in Palestine.